The first feature doc that I was ever hired to cut was a film called Bombhunters. This film consisted of six months of constant filming, over 130 hours of footage, and a three-ring binder with about 300 pages of translation and transcription of all of the footage. It was a beast and one helluva way to cut your teeth into the world of doc editing. 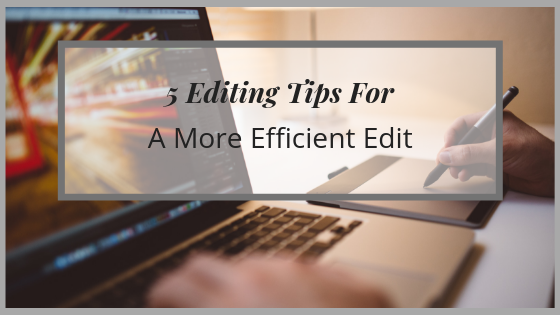 That was nearly 15 years ago, and as you might imagine, I have learned a fair amount about the craft of editing since that time, including some surefire tips for making one’s edit go a bit more efficiently. And I’d like to share a few of these suggestions with you today. You don’t want to find yourself deep into the edit of a major project, only to realise that your machine isn’t quite up to spec to be able to handle, say, various footage formats or the bigger sizes of graphic files. 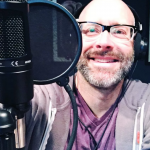 One of the best things that you can do – beforehand – is get information about all of the types of formats that you’ll be using and what formats you’ll be needing to output to. And then you’ll want to research to make sure that you have the required software and hardware to handle the project. Often times you might need to update your iOS, update your software, or add a little RAM to your machine. Again, you really will want to avoid doing this in the middle of a project, because you could be putting your machine and/or your project files at great risk. If you’re anything like me, the more items that you have in your space or periphery, the more chance that you have for distraction. So before I start editing on my docs, one of the initial things that I’ll do is make sure that I’ve set myself up in a proper space. What is the orientation of my desk? Is sunlight going to be directly in my face because I’m facing a window? Do you have a whiteboard in your office area? If not, you might strongly consider getting one. I always make sure that I start with a nice clean, empty white board before each project, because I make a TON of notes, regarding everything from timeline structures, additional needed Broll lists, suggestions for stories, etc. You should also make sure your desk is pretty streamlined and clean. Only the essentials should be there. Your laptop or keyboard, a monitor (or two, if you decide on a dual-screen setup), maybe a small notepad, but other than that, you want to try and keep your area pretty clean. When you enter your space – which is a sacred one since this is where the creativity happens – you’re making a commitment to engage with nothing but your film. Editing with proxies essentially makes it super easy for your computer system to edit with any kind of footage without having to transcode footage or without your system slowing down or worse just completely choking out, when you try editing with really robust footage. You might do this if you were editing with a bunch of 4k or 6k footage. If you create proxies of your footage files you’re basically taking the original media and converting them to a fairly high quality duplicate that is roughly ¼ the size of the original. It’s much easier to edit with these than it would have been with the original, much bigger files. Once you have a final edit complete you would simply take your edit back online by reconnecting to the raw files. Do not be afraid of editing with proxies. It’s actually a fairly straight-forward process and it will save you a ton of time and frustration! To be an editor, is to be streamlined. And that starts with how you set up your drives, which you should be setting up the same way each and every time you begin a new project. 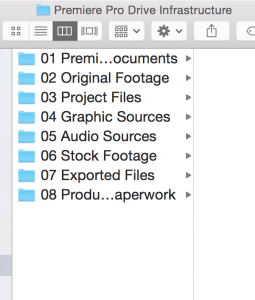 Creating and using a specific drive infrastructure allows you to easily access footage, graphics, music, project files for any project, in fairly short order. Especially if you’re working with clients or multiple projects you want to be able to seamlessly go back and forth between projects and you want to be able to find what you need, whenever you need it, as quickly as possible. Building out a specific drive infrastructure and then, for the most part, sticking with that infrastructure is an efficient way to do this. This is often how I’ll structure mine.. Keyboard shortcuts save you time and the frustration of going through endless dropdowns and submenus. You should be learning at least a handful of these and using them as much as possible, i.e, you should never be using your mouse to scrub through footage. That’s what your ‘J, K, L + Spacebar’ keys are for! Nowadays, software like Adobe Premiere Pro or Final Cut Pro X make it super easy to discover what a particular shortcut is for an action and/or build out your own set of keyboard shortcuts. You might even consider getting yourself a color-coded keyboard for your editing platform. You’ll learn the shortcuts quickly, not to mention have a sophisticated looking setup.